Developers in Dubai have a new benchmark to aim for — a Dh5 million property — when it comes to targeting buyer prospects. Because that’s the price that will fetch the buyer a 5-year residency visa and potentially opening up a new growth opportunity within the property market. And longer residency visas are exactly what is required to open up new investor markets, sources say. “Every market wants a piece of China’s investment power and Dubai is putting itself in a prime position to capitalise,” said Firas Al Msaddi, CEO of fäm Properties. “The announcement underlines the fact the government will not stop until the market is back where it wants it to be. This initiative will be complemented by many others. 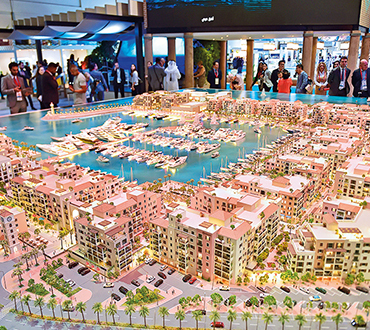 Starting next year, all Dubai-focused property shows — both held here and at roadshows in key overseas destinations — will see the Dh5 million and 5-year residency connection getting highlighted. Market sources say that at this moment in time, the higher end of the property market is what requires sustained momentum and this could well provide that. Targeting the higher end of the property spectrum has worked well for Dubai and its property market in the past. In 2011, the upturn brought on by the Arab Spring and the inflow of capital from the rest of the region was initially felt in Dubai’s upscale freehold destinations — the Palm, Dubai Marina, etc. * The new regulation says that “all” property valued at Dh5 million will ensure the owner has access to longer term visa. Will that extend to all types of commercial real estate? * Whether this applies to existing property that had been acquired for Dh5 million or more. Will this have retrospective effect? * Those who own a stake in an existing company or partnership valued at Dh10 million and higher will have access to a renewable residency up to 10 years. In this case, the value of the property within that Dh10 million of up to 40 per cent will qualify for visa renewal every 10 years.